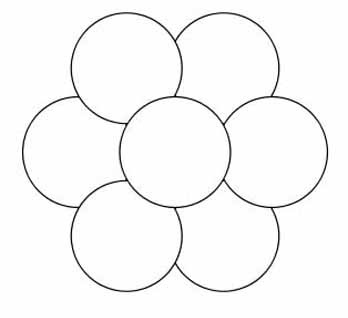 The diagram below is known as the Flower Of Life. It is not just an interesting drawing. It is a geometrical figure that is an integral part of Sacred Geometry. 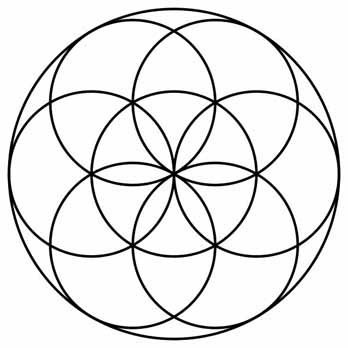 Recently I discovered I was able to use a printed Flower Of Life to neutralize the negative effects of electronics, i.e. PC, iPod, watch etc. I can’t explain to you how it works. All I know is that something very interesting happens. 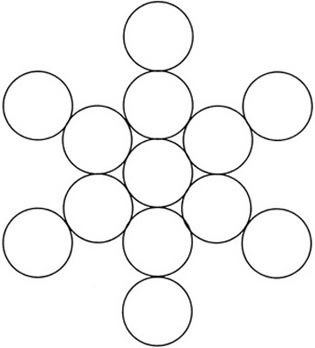 So now I’m going to do a VERY BRIEF intro to Sacred Geometry. Everything in the universe is an expression of geometry, whether it is atoms, a beehive, the human body, a shell, a snowflake, a tree, a flower or a galaxy. 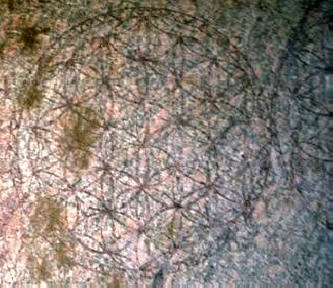 In ancient spiritual mystery schools it was taught that Sacred Geometry was used by God to create the universe. We do know that geometry elegantly describes many phenomena that we see in nature such as the growth of plants, the proportions of the human body, the orbit of the planets, the structure of crystals, of music and of light. 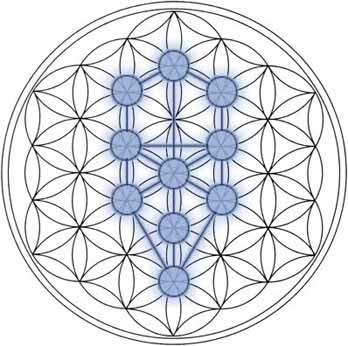 Now, the Flower Of Life appears to be an ancient Sacred Geometry informational system that is believed to contain the encoded creation pattern for the fundamental forms of space and time. For example, it contains the basis for music as the distances between the spheres is identical to the distances between the tones and the half tones in music. Now in 1986 American physicist Robert Moon demonstrated that all 92 elements of the periodic table and thus all of matter in the universe is based on the five platonic solids. 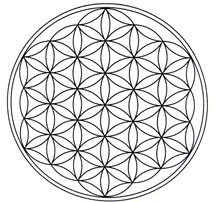 So in some way we can say the Flower Of Life is fundamental to creation. Now what I have found is that when I downloaded a copy of the Flower Of Life (see samples below) printed it and simply taped it to something I was wearing on my body, like the back of my watch, I was for all intents and purposes protected from the negative effects of electronics like my personal computer, iPod and more. I did this by using kinesiology and I have done a number of videos describing this process. In my preliminary investigation I was also even protected from the electro-magnetic frequencies (EMFs) emitted by concentrations of electrical wiring such as transformers. I need to do some more work on this and I invite your feedback. Please watch the video above. 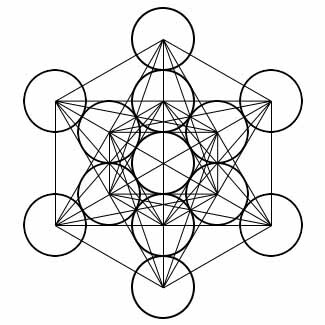 “The Ancient Secret of the Flower of Life” v 2 by Drunvalo Melchizedek. Thanks very much, I appreciate your time!